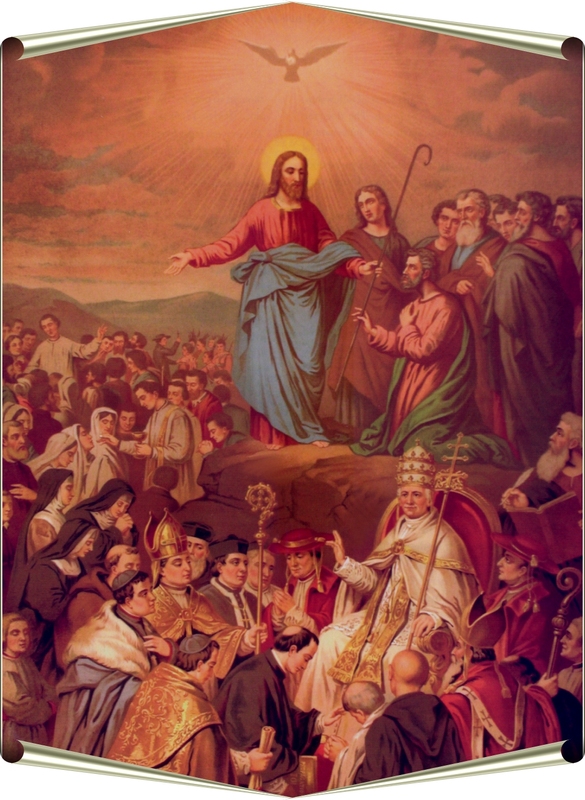 I will be posting excerpts from a booklet entitled “The Holy Sacrifice of the Mass” by Fr. 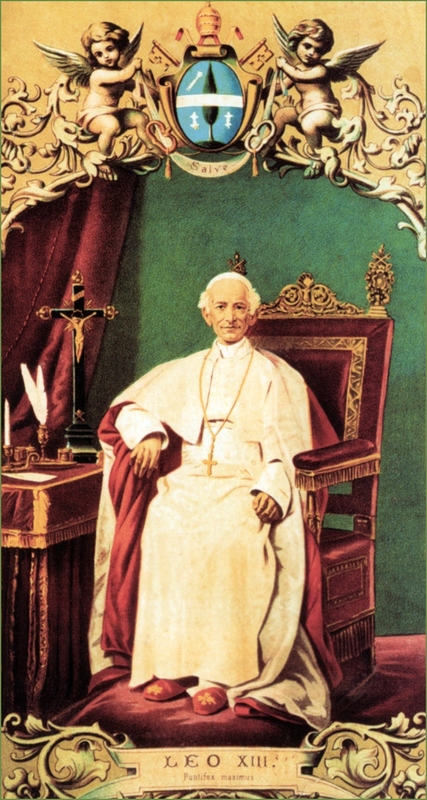 Mateo Crawley-Boevey, written during the reign of Pope Pius XII. 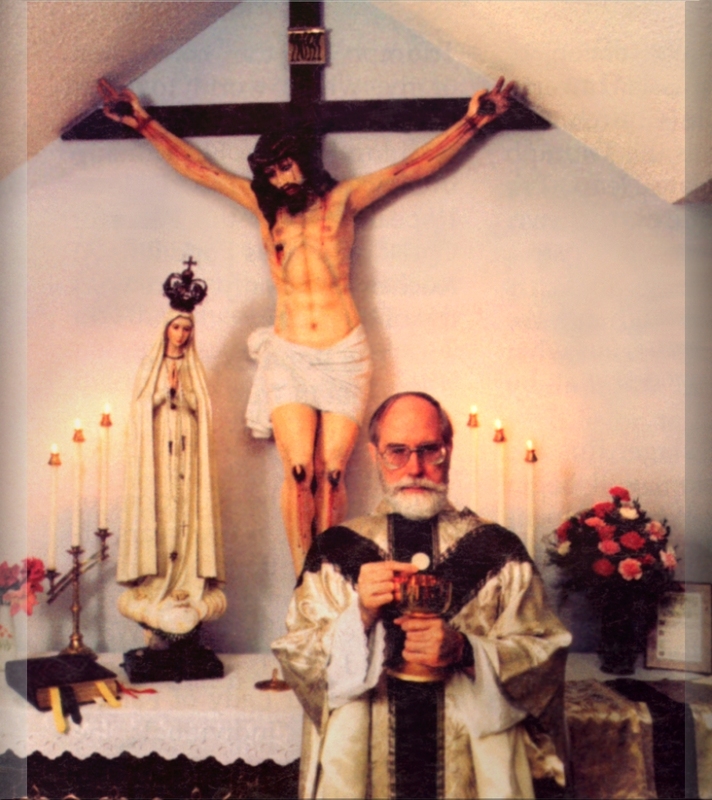 There is much to ponder here on our Holy Religion and the Holy Sacrifice of the Mass. 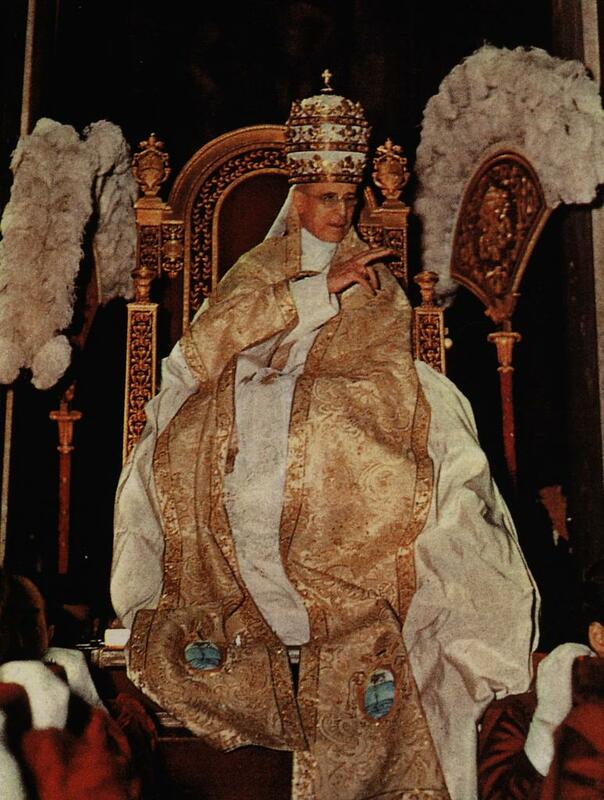 “The mystery of the Holy Eucharist comprises two wonderful chapters: the Holy Sacrifice of the Mass which is the divine and inexhaustible source of Grace and the Blessed Sacrament of the Altar, which theologically is the liturgical consummation of the Sacrifice. Normally, these two parts are spiritually one. 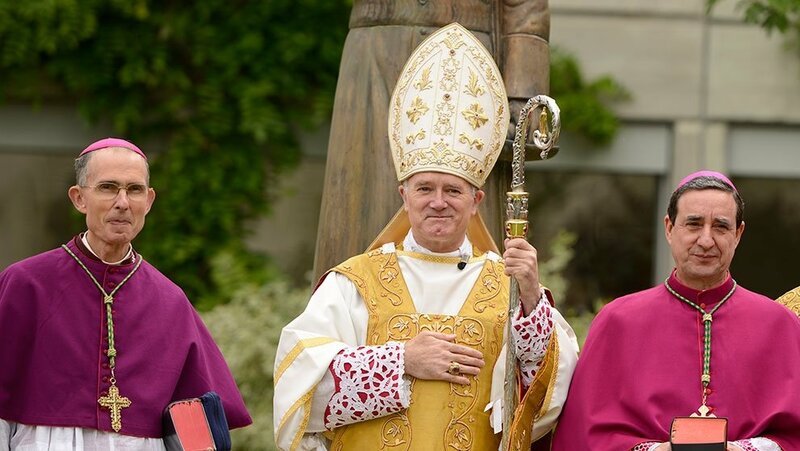 However, it is unfortunate that sometimes one is separated from the other, and that without good reason, nor without some harm coming to the Eucharistic, and even the spiritual life. 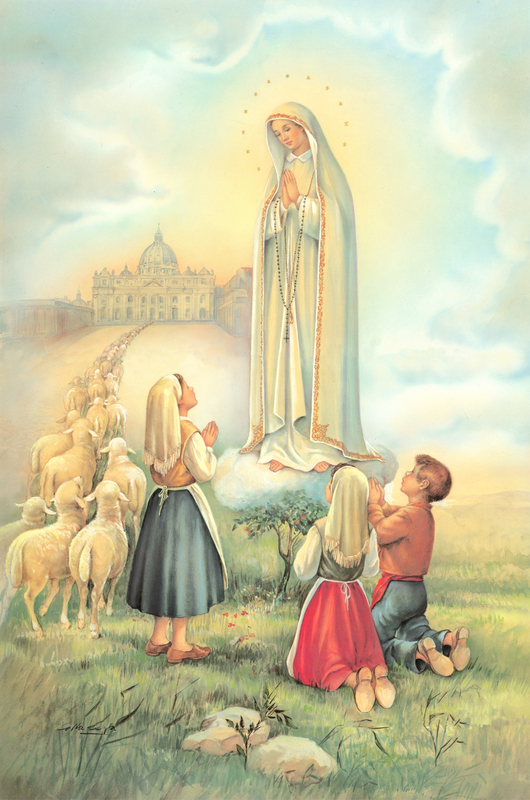 The Holy Sacrifice of the Mass is the well-spring of Divine Life, from which the Sacrament flows as a sacred torrent. Hence, Holy Communion and the Sacred Species reserved in the Tabernacle become veritable torrential streams rushing from the Sacrifice. Without further delay, then, we will mark two distinct and doctrinal points of difference between the Eucharist as a Sacrifice and a Sacrament. The Sacrifice of Calvary and that of the Altar is an ineffable realization of the words of St. Paul: “Christ hath delivered Himself for us.” (Eph. 5:2) For the Glory of the Father and the Redemption of sinful man, the Son of God offered Himself as a holocaust to His Father. In the Sacrifice, the Word made Flesh offers Himself to the Father as Victim. 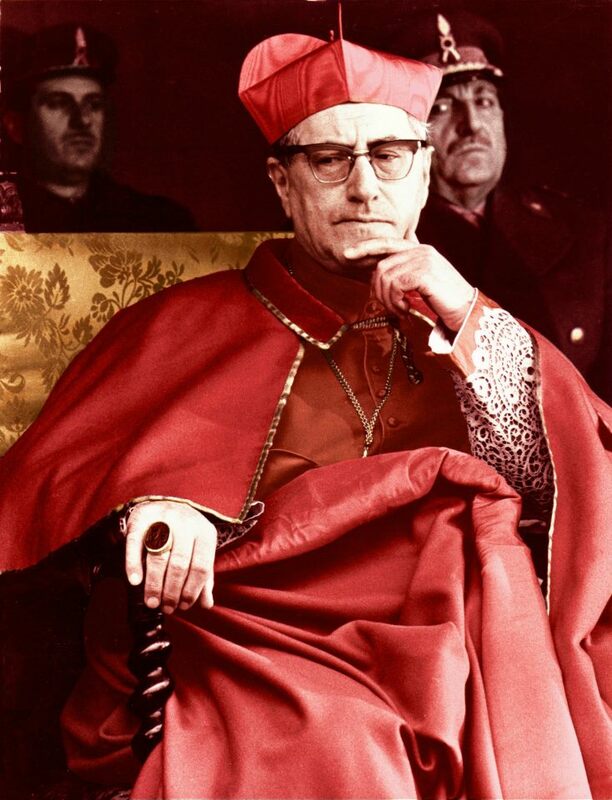 In the Sacrament, ever as Victim, He offers Himself to the Church and to the faithful. Let it be well understood then, that Jesus is the same Victim in Sacrifice and Sacrament. However, the victim of the Sacrifice is offered only to the Father, while the Victim of the Sacrament gives Himself to the Faithful. Although the Divine Victim of the Sacrifice is the same as the Victim of the Sacrament, yet those who receive what is offered are worlds apart. In the Sacrifice, the infinitely perfect Father receives Jesus the Victim. In the Sacrament, we, who are nothing but sin, receive the same Jesus. Holy Communion is the liturgical completion of the Sacrifice. 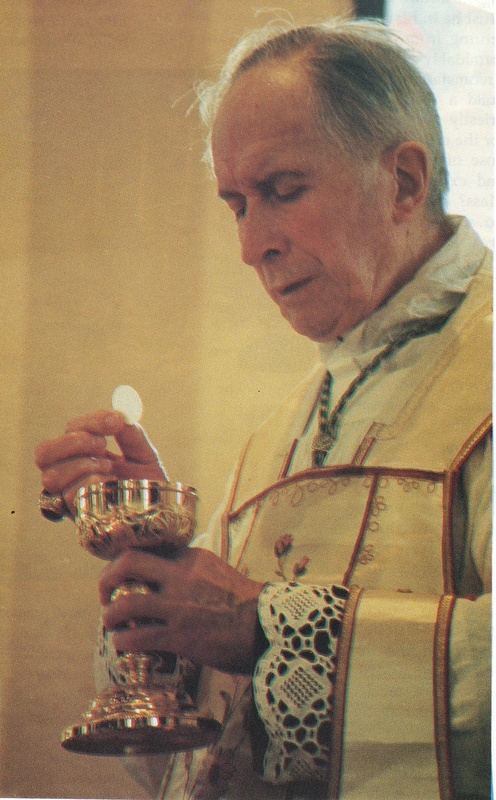 So much so that, in the words of His Holiness, Pius XII, in his Encyclical, Mediator Dei, “the Communion of the priest is absolutely necessary.” But without the Mass, there would be no Holy Communion, no Blessed Sacrament of the Altar, no Exposition and no Benediction, for the Mass brings the Real Presence to our Altars. 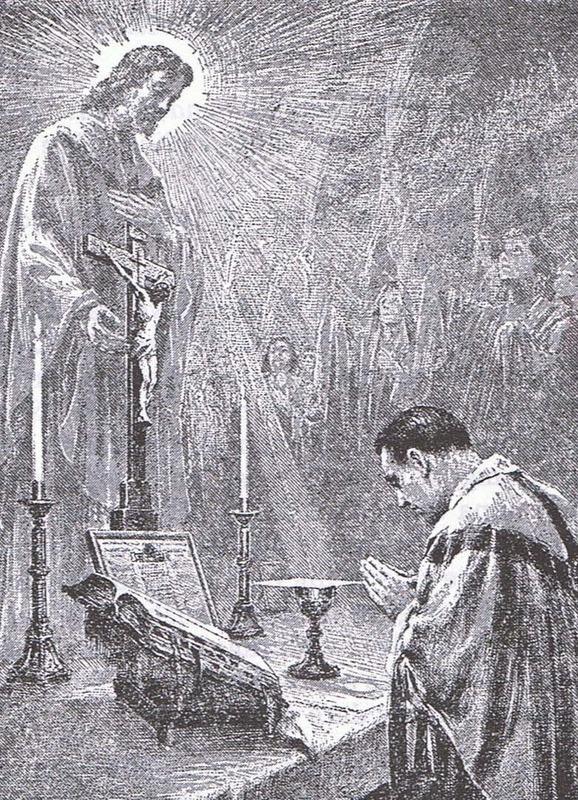 In the Liturgy of the Mass, there are three principal parts: the Oblation, or Offertory; the separate Consecration of the Species, the center and essence of the Sacrifice; and the Communion which completes the Sacrifice. Who offers the Holy Mass? 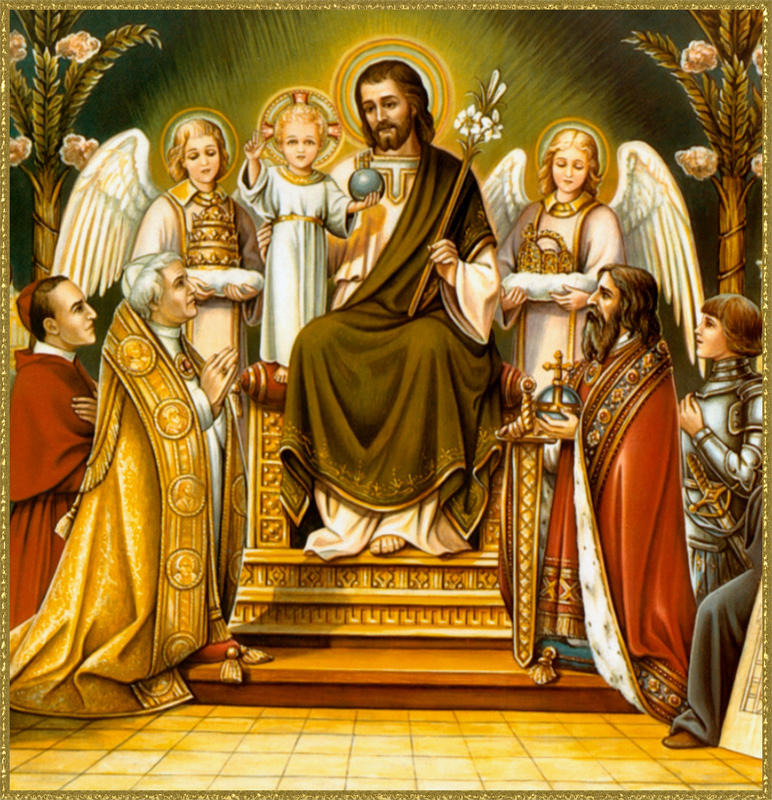 First, there is the adorable Pontiff, Christ Jesus, the “High Priest according to the order of Melchisedech.” (Heb. 5:10) He is at the same time the Celebrant and the Sacramental Victim, thrice sacred. 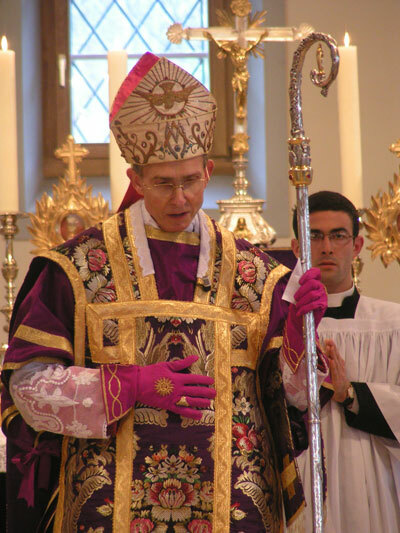 Thirdly, by a kind of spiritual concomitance, the Faithful offer the Sacrifice with the priest, but with limits. Their part is only in the Offertory and Communion. 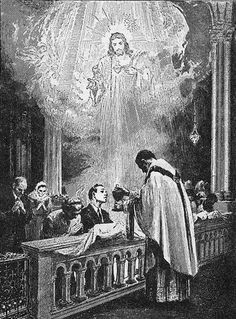 This participation is pointed out by the insistence of the Church that there be present at Mass a representative of the people, in the person of the Mass-server or altar boy, for the Mass is essentially an act of public social worship. In his capacity as official deputy of the people, the server offers the wine and water to the priest and answers the people’s part in the dialogue of the Mass, the liturgical form established in the early centuries of the Church. There are many good Catholics to be found wanting in a knowledge of their catechism. 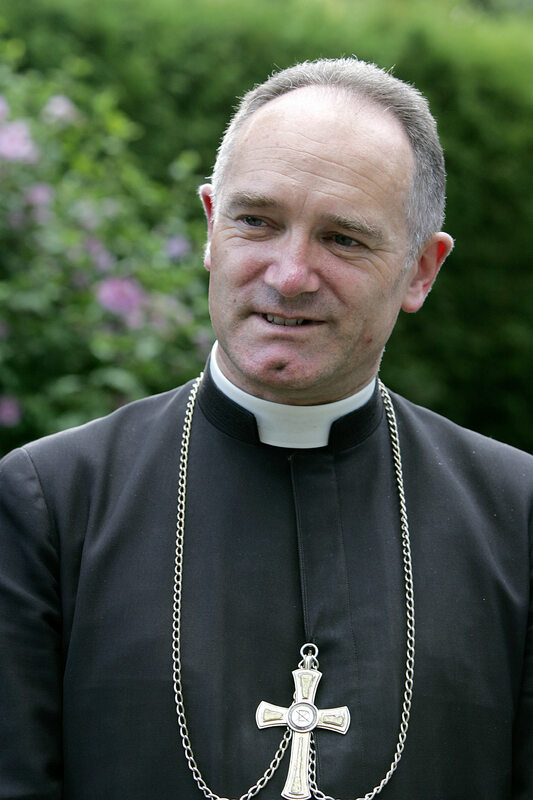 We are still far from the ideal sought by the Church. They come to Mass with hardly any thought in mind but the reception of Holy Communion. The last thought they would ever have would be to take an active part in the Sacrifice and, thus, give glory to the Blessed Trinity. There are many pious souls for whom the Holy Eucharist is merely consecrated bread distributed at the altar rail. 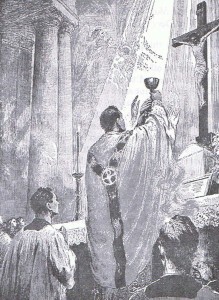 For such as these, the Mass is a beautiful liturgical ceremony during which it is customary to receive Holy Communion. 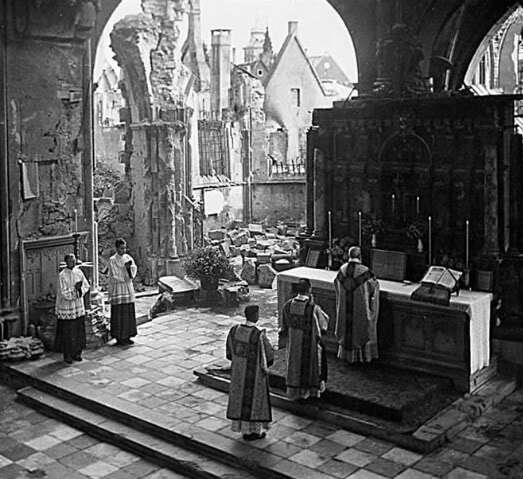 They fail to see the Mass as the great act of Sacrifice, the true centre of the Church. 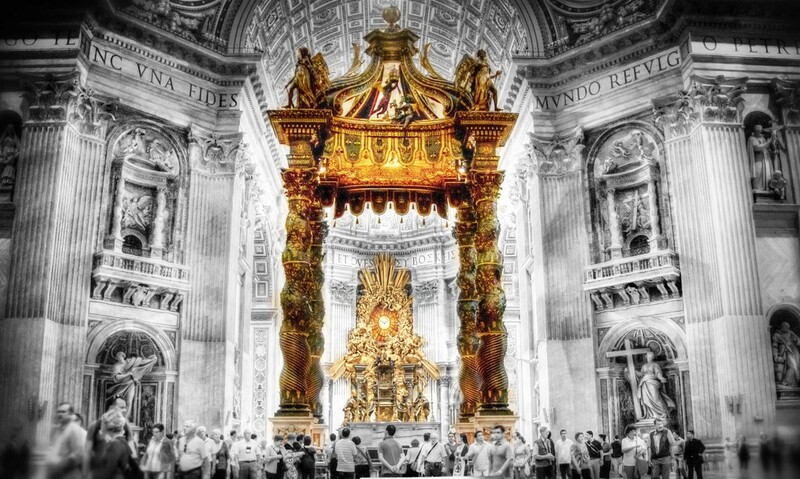 It has become the golden key which unlocks the Tabernacle for them, when out of private devotion they wish to receive Holy Communion. That is why they read novena prayers or say their Rosaries during Mass, never giving a moment’s advertence to the divine drama being enacted on the altar. These souls separate Sacrifice from Sacrament. 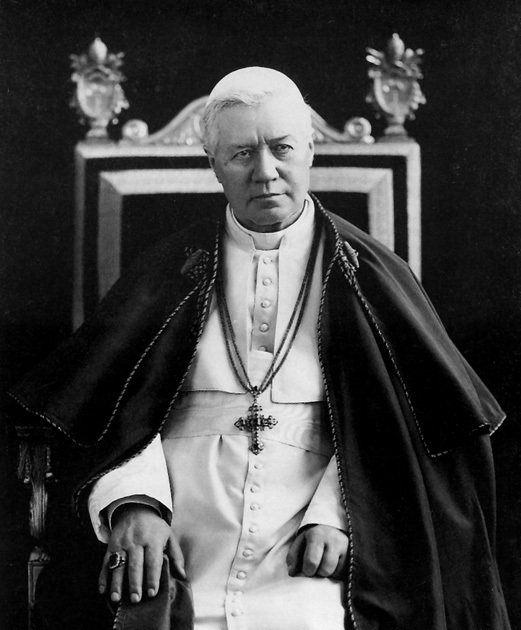 A great theologian has justly made this observation: “He who does not appreciate the Mass will never be really a Eucharistic soul; He will never appreciate Holy Communion, even if he receives daily…” In fact, ignorance couples with routine may bring harmful results. 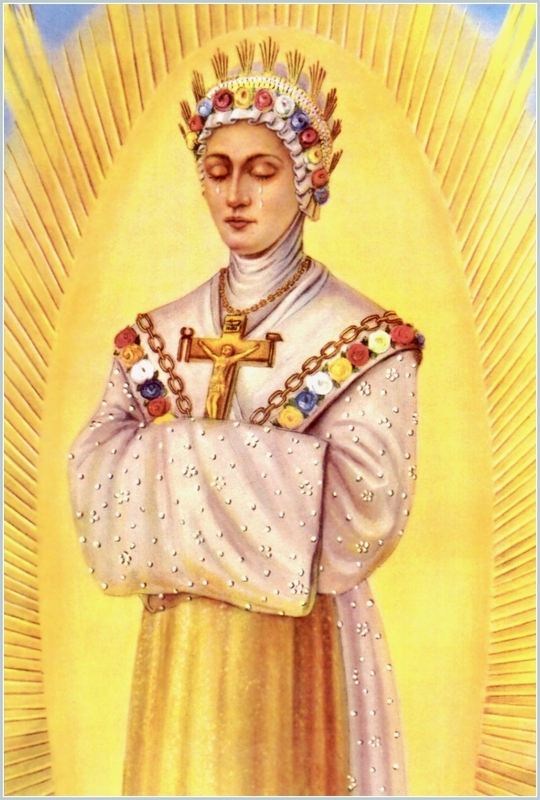 The Blessed Sacrament then becomes an insipid, unsubstantial devotion – like skimmed milk, with the body gone. What do the catechism and Sacred Theology teach us of the Holy Sacrifice? But, before beginning the development of this beautiful subject, let me make this extremely important remark. 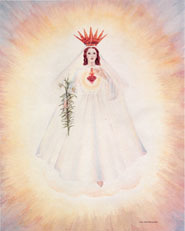 This entry was posted in Holy Sacrifice of the Mass and tagged Holy Mass, Sacrifice on January 8, 2015 by damselofthefaith. 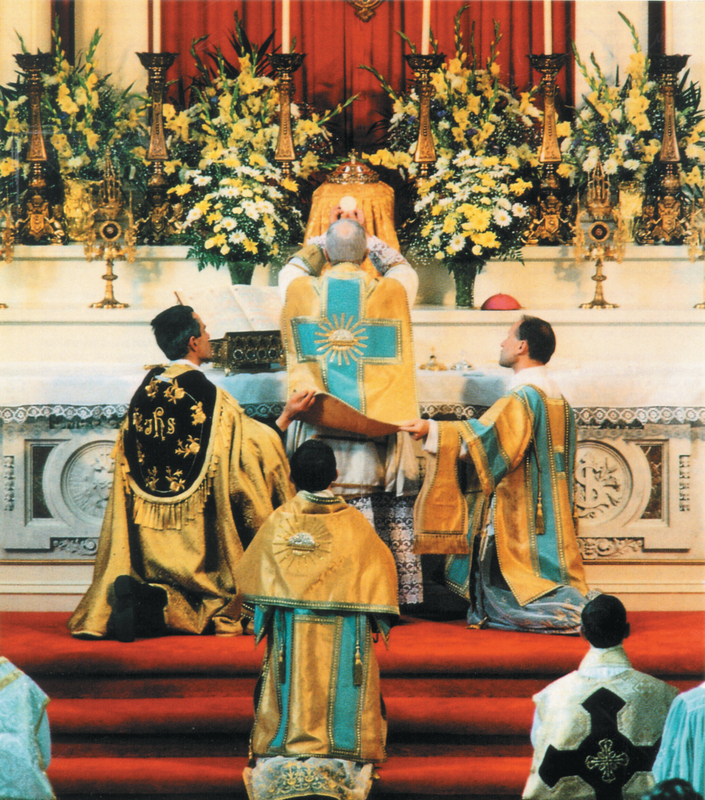 I love the Mass/Liturgy. It is so beautiful. 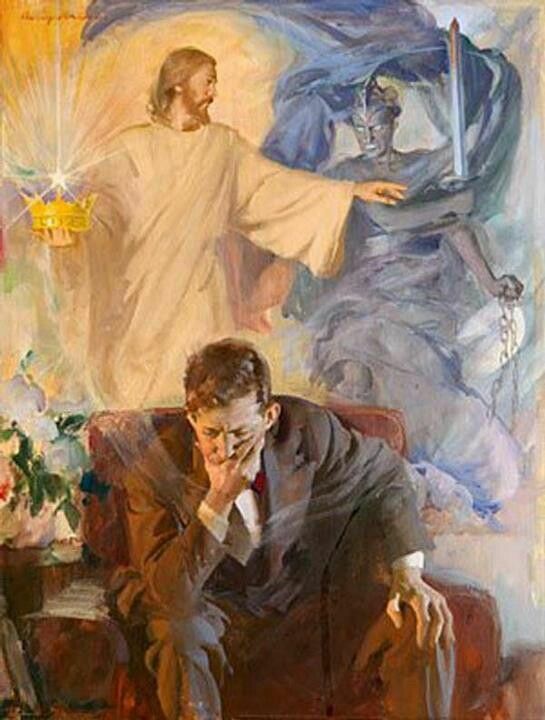 Holiness is a beautiful thing. We must pursue this as Christians. Holiness stems from the word we translate as “saint”. 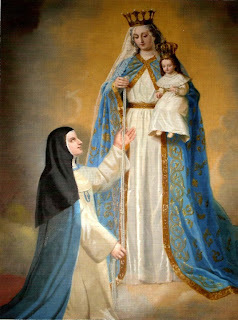 Don’t just be a Christian, be a saint! I hated the Evangelical worship services I used to go to. Corny pop music. They called me anti-Christian for objecting to it but I now realize they were in the wrong! 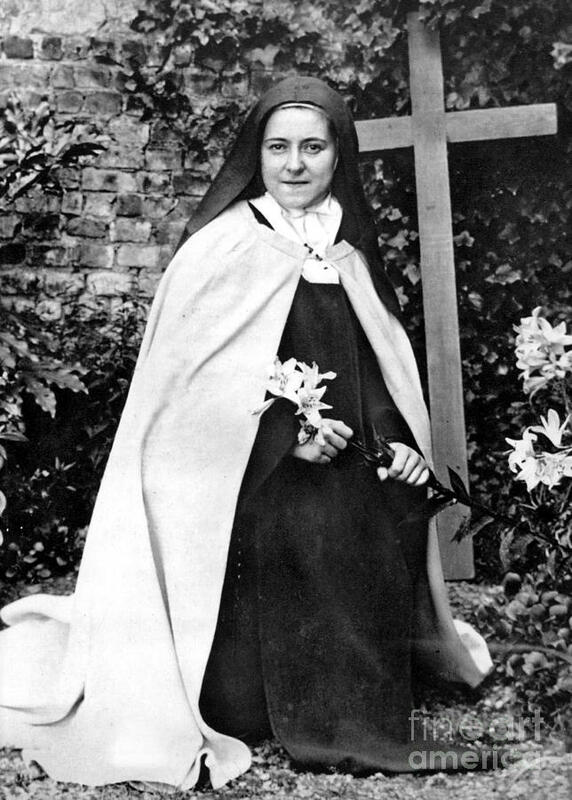 I love St. Therese of Lisieux! Which reminds me, I need to finish reading A Story of the Soul.